Richard Parker or Cowardly Lion? Today I am thinking about two very different movie portrayals of members of the cat family. The two movies are ‘Life of Pi’ and ‘Wizard of Oz’. For those who have seen both movies, they may not have appeared similar, but there is a common theme: Both movies are about a young adult who is put in a strange world (Pi on a boat in the Pacific, Dorothy in the land of Oz), they make their ways home with the help of non-human creatures. It just so happens that one of the companions to each lost adolescent is a type of a cat. Not cat as in domestic cat, but cat as in ‘Big Cat’ – the lion and tiger variety. In these two movies, the big cats could not be more different in personality. In the movie ‘Life of Pi’, one of the lead characters is a Bengal tiger known as ‘Richard Parker’. 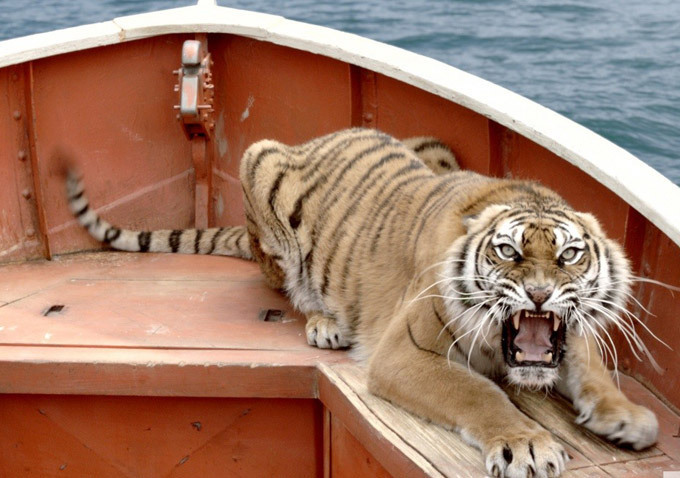 Richard Parker is ferocious at the outset, but becomes slightly tamed, enough so that he and Pi are able to co-exist on a boat adrift in the Pacific Ocean. Their co-existence is not easy, it requires Pi to continually show he is unafraid and able to stand his ground. 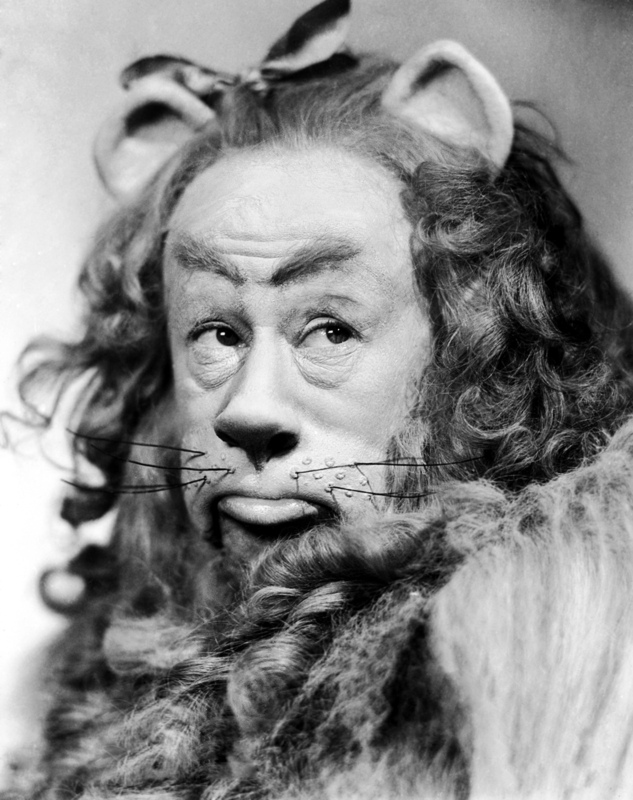 In the movie ‘Wizard of Oz’, a lead character is referred to as the ‘Cowardly Lion’. The Cowardly Lion is appropriately named and begins very fearful, only learning how to be brave after surviving frightening situations with Dorothy and others. It is not until nearly the end of the movie that the lion realizes he had unknown strength inside himself all along. Despite the cats very different personalities – Richard Parker as strong and unafraid and Cowardly Lion as timid and fearful, they both serve similar roles to their young human counterparts – helping them survive in a strange environment and become stronger. Richard Parker brings out Pi’s strength to survive by forcing Pi to become assertive and constantly monitor his surroundings – keeping alert. Cowardly Lion helps Dorothy become stronger as she tries to help him overcome his fears and make his way with her to see the Wizard. The different ways they help their human companion survive may reflect the way we perceive strength in the different genders. In men, we expect strength to be shown outwardly, with a strong roar, and with women, we expect strength to be shown less overtly, through encouragement and support in challenging situations. If those stereotypes are true, then each cat did his part well. So if you were in need of courage, who would you be – Pi standing up to Richard Parker or Dorothy helping the Cowardly Lion? Roar!